User maning reminds us of “passive data sources” for mapping. The discussion on this User Diary entry by deejoe confirms that the Great Lakes of North America are best mapped with “natural=coastline”. The aerial layer of Mapbox, which is available for mapping on OpenStreetMap for quite some time, includes now new, high resolution imagery of New Zealand. Brian Prangle (of Mappa Merica) describes a new project that will run in collaboration with the Birmingham City Council : an Urban Traffic Monitoring System. He is looking for input on the proposed wikipage. Joachim (Jojo4u) asks the tagging mailing list for input on the Site relation proposal, which he tries to revive. A suggestion from Trimble for a tuck tuck vehicle as a mapping mobile for OpenStreetMap . The discussion about deleting abandoned railroads (we reported on several occasions) is a never ending story. Russ Nelson complained to the talk list that motivated potential rail road mapper will be scared. Jakob Mühldorfer asks how one should map the Oktoberfest in Munich. Ilya Zverev complains that Xxzme still makes rogue edits in the wiki after his ban of 3 months. Math1985 created a wiki page with all chains of shops in Netherlands. The list is discussed on the Dutch forum. In the past he worked on the wiki for retail chains in Great-Britain which was initially created by SK53. Christian Rogel asks the French community to map more outreach facilities (“groupe de service communautaire” and “agent de proximité” in French). He states that a lot of places operated by e.g. “Secours catholique”, “Croix-Rouge” (non-medical facilities) and “Armée du Salut” are missing. Tristam Gräbener, who works for a train-booking company, wants to make a nice map of railways. He knows the transport style from Andy Allan, but thinks that the local lines are too much emphasized. He asks for help. The GraphHopper blog has moved. DEBIGC reports about the MapLesotho-Mapillary Challenge. Peter Karich and Stefan Schröder the developers behind the open source projects GraphHopper and jsprit received one of the five main awards in the “start-up competition – ICT Innovation” of the German Federal Ministry of Economics and Energy on Friday, September 9th at the Internationale Funkausstellung in Berlin for their business idea “Graph Hopper Directions API“. The award is endowed with 30,000 Euros. Congratulations! Albin Larsson has deleted the two largest multipolygons of CLC06 land use Import in Finland. They were 80 x 120 km across and most of the time they were broken. He now records slowly and by hand the new areas, meanwhile, the map retains bright spots. Sander Deryckere updates the database behind the tool for the address import in Flanders with the latest information from AGIV CRAB. In case you are interested, the approved procedure for the import can be found on the wiki. From September 4th – 6th State of the Map LatAm took place in Santiago de Chile. HOT announces the alpha release of their export tool. A one-day “open mapping workshop” was organised in Castries, St. Lucia and Kingston, Jamaica as part of the World Bank-DFID cooperation for Open Data Support in the Caribbean. Tyler Radford tweeted about mapping at #africaopendata for flood resilience. Raimondiand calls for mapping Syrian refugee camps. He has started to map one in Iraq. Under the auspices of the White House an open-source map of the United States has been published along with source code. 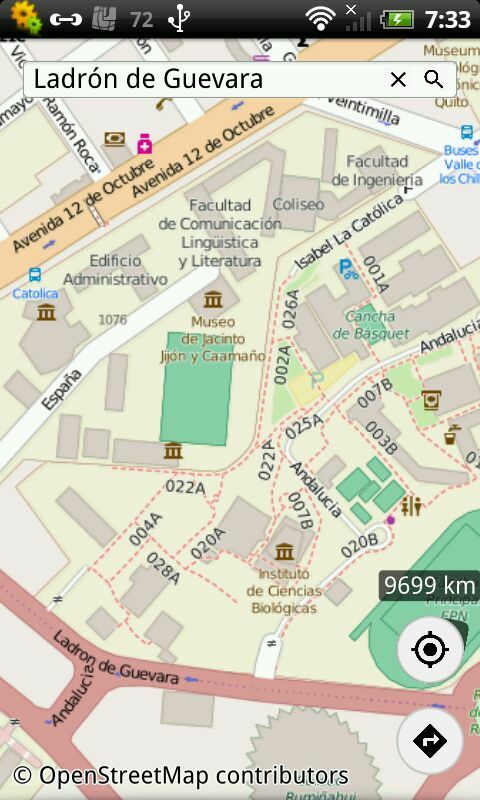 Marta Poblet describes OpenStreetMap as a figurehead in an article about the importance of spatial data. Open Knowledge Ireland has visualized together with the OSM community waiting lists of hospitals. With Map On Shirt you can print T-shirts or pillows with an OSM map section of your choice. Dennis Nienhüser released the free beta of Marble Maps, the Android port of the KDE Application Marble Virtual Globe. Version 2.16 of Route Converter was released. Rory McCann has published split-large polygon. Wille Marcel presented in Santiago de Chile his python package osmcha. It allows you to inspect more accurate suspicious ChangeSets. The Geometalab of the Hochschule Rapperswil started osm2vectortiles, a toolchain for generating MBTiles. An article on MarketWatch.com for using indoor positioning in shopping malls and why techniques like iBeacons from Apple are not as successful as initially thought. Google “tracks your every move“. See your moves in your timeline. Did you know that? Do you like it? If you don’t like it, you can deactivate tracking on the timeline link above. The Israeli company PhantomAlert has accused the Google subsidiary Waze, which determines the flow of traffic on roads by crowdsourcing, of having unlawfully used POI data from PhantomAlert. Easter Eggs are mentioned as evidence. VICE reported and Spatially Adjusted describes the Easter Eggs and cite the OSM Wiki. Lisa Gutermuth gives a presentation on their research regarding Privacy in the use of satellite imagery in agriculture.